The Global Climate Coalition (GCC) was one of the most outspoken and confrontational industry groups in the United States battling reductions in greenhouse gas emissions. Prior to its disbanding in early 2002, it collaborated extensively with a network that included industry trade associations, "property rights" groups affiliated with the anti-environmental Wise Use movement, and fringe groups such as Sovereignty International, which believes that global warming is a plot to enslave the world under a United Nations-led "world government." Frank Maisano, Media Contact, is a member of the Potomac Communications Group, whose other clients include Con Edison, the Edison Electric Institute, the Nuclear Energy Institute, the U.S. Department of Energy and the U.S. Environmental Protection Agency. In April, 2006, E magazine interviewed Maisano, reporting that he is now working with Bracewell and Giuliani. 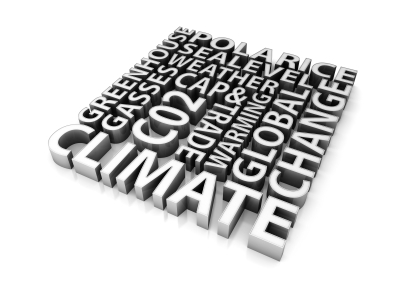 In 1989, the United Nations created the Intergovernmental Panel on Climate Change (IPCC). The members of the IPCC are governments. At approximately five-year intervals, the IPCC assembles a group of some 2,500 climate scientists from throughout the world to evaluate the evidence linking anthropogenic greenhouse gas and other emissions (such as particulates) to global climate change. The Global Climate Coalition was created in 1989, shortly after the IPCC's first meeting. The GCC operated until 1997 out of the offices of the National Association of Manufacturers. Its early members included Amoco, the American Forest & Paper Association, American Petroleum Institute, Chevron, Chrysler, Cyprus AMAX Minerals, Exxon, Ford, General Motors, Shell Oil, Texaco, and the United States Chamber of Commerce. For PR and lobbying, the GCC has employed "Junkman" Steven Milloy's former employer, the EOP Group, as well as the E. Bruce Harrison Company, a subsidiary of the giant Ruder Finn PR firm. Within the public relations industry, Harrison is an almost legendary figure who is ironically considered "the founder of green PR" because of his work for the pesticide industry in the 1960s, when he helped lead the attack on author Rachel Carson and her environmental classic, Silent Spring. GCC activities have included publication of glossy reports, aggressive lobbying at international climate negotiation meetings, and raising concern about unemployment that it claims would result from emissions regulations. It distributed a video to hundreds of journalists claiming that increased levels of carbon dioxide will increase crop production and help feed the hungry people of the world. In the lead up to the Earth Summit at Rio de Janeiro in 1992, the GCC and other industry interests successfully lobbied the US government to avoid mandatory emissions controls. GCIP's ads were produced by Goddard*Claussen/First Tuesday, a California-based PR firm whose clients include the Chlorine Chemistry Council, the Chemical Manufacturers Association, DuPont Merck Pharmaceuticals, and the Vinyl Siding Institute. Goddard*Claussen is notorious for its "Harry and Louise" advertisement that helped derail President Clinton's 1993 health reform proposal. Its anti-Kyoto advertisements falsely claimed, "It's Not Global and It Won't Work." They also claimed that "Americans will pay the price. . . 50 cents more for every gallon of gasoline." Actually, there was no treaty at that point, and no government proposals, then or now, have suggested a "50 cent" gallon gas tax. By 1997, the growing scientific and public consensus regarding global warming forced a number of GCC supporters to reconsider the negative PR implications of their involvement in a group that was increasingly recognized as a self-serving anti-environmental front group. BP/Amoco withdrew from GCC after BP's chairman admitted that "the time to consider the policy dimensions of climate change is not when the link between greenhouse gases and climate change is conclusively proven, but when the possibility cannot be discounted and is taken seriously by the society of which we are part. We in BP have reached that point." Other prominent companies that have publicly abandoned GCC include American Electric Power, Dow, Dupont, Royal Dutch Shell, Ford, Daimler Chrysler, Southern Company, Texaco and General Motors. In March 2000, GCC announced a "strategic restructuring" designed to "bring the focus of the climate debate back to the real issues." Under the restructuring, individual companies were no longer asked to join the GCC. Instead, membership would be limited to "only trade associations" and "other like-minded organizations." By seeking support from trade associations instead of individual companies, GCC hoped to create a layer of deniability so that affected industries could continue to support its campaign of global warming denial while avoiding boycotts and other public campaigns against individual companies. The GCC disbanded in early 2002, explaining that it "has served its purpose by contributing to a new national approach to global warming. The Bush administration will soon announce a climate policy that is expected to rely on the development of new technologies to reduce greenhouse emissions, a concept strongly supported by the GCC." After years spent denying that greenhouse emissions were a serious environmental problem, the organization's parting shot at history combined a tacit admission that it had been wrong all along, along with an endorsement of the George W. Bush administration's proposal for ineffective "voluntary" industry measures to address the problem. The Global Climate Coalition has been deactivated. The industry voice on climate change has served its purpose by contributing to a new national approach to global warming. The Bush administration will soon announce a climate policy that is expected to rely on the development of new technologies to reduce greenhouse emissions, a concept strongly supported by the GCC. The coalition also opposed Senate ratification of the Kyoto Protocol that would assign such stringent targets for lowering greenhouse gas emissions that economic growth in the U. S. would be severely hampered and energy prices for consumers would skyrocket. The GCC also opposed the treaty because it does not require the largest developing countries to make cuts in their emissions. At this point, both Congress and the Administration agree that the U.S. should not accept the mandatory cuts in emissions required by the protocol. The Global Climate Coalition is an organization of trade associations established in 1989 to coordinate business participation in the international policy debate on the issue of global climate change and global warming. Currently, GCC members collectively represent more than 6 million businesses, companies and corporations in virtually every sector of U.S. business, agriculture and forestry, including electric utilities, railroads, transportation, manufacturing, small businesses, mining, oil, and coal. As a leading voice for business and industry, both domestically and internationally, GCC volunteers and staff attend all international climate change negotiations. They also closely monitor the activities of the Intergovernmental Panel on Climate Change (IPCC) and contributes to the IPCC's scientific assessment documents. Domestically, the GCC represents the views of its members to legislative bodies and policymakers. And it reviews and provides comments on proposed legislation and government programs. Businesses and industries that make up the GCC's member trade associations are active participants in voluntary programs for reducing greenhouse gas emissions that are part of the federal government's U.S. Climate Action Plan. The GCC website was decorated with numerous photos of happy children playing in idyllic farm fields, but it did not provide any information about its budget or where its money comes from. GCC was not registered as a nonprofit organization and was not required to make public disclosures of its IRS tax filings, so it is difficult to obtain even basic information about its finances. However, the information that is publicly available shows that the GCC has spent tens of millions of dollars on the global warming issue. According to the Los Angeles Times (December 7, 1997) the GCC spent $13 million on its 1997 anti-Kyoto ad campaign, an amount roughly equivalent to Greenpeace’s entire annual budget. Common Cause has documented more than $63 million in contributions to politicians from members of the Global Climate Coalition from 1989-1999. GCC's efforts were coordinated with separate campaigns by many of its members, such as the National Coal Association, which spent more than $700,000 on the global climate issue in 1992 and 1993, and the American Petroleum Institute, which paid the Burson-Marsteller PR firm $1.8 million in 1993 for a successful computer-driven "grassroots" letter and phone-in campaign to stop a proposed tax on fossil fuels. American Commercial Barge Line Co.
Kaiser Aluminum and Chemical Corp.
Northern Indiana Public Serv. Co. Global Climate Coalition, "Primer on Climate Change Science· Final Draft", January 18, 1996. Lester Brown, "The Rise and Fall of the Global Climate Coalition, Worldwatch Institute. This essay examines the significance of member companies' defections from the GCC. "Cooking the Books: the Bogus Economics of the Global Climate Coalition"
In a speech to Greenpeace, Ford Motor Company CEO William Clay Ford, Jr. explains why his company left the Global Climate Coalition: "The present risk is clear. The climate appears to be changing, the changes appear to be outside natural variation, and the likely consequences will be serious. From a business planning point of view, that issue is settled. Anyone who disagrees is, in my view, still in denial." The Heat Is Online, a website by journalist Ross Gelbspan, explains the science of global warming and industry's disinformation campaign. "The Rhetoric of Uncertainty." This essay examines the two-pronged strategy used by opponents of regulating carbon emissions: an assault on the scientific foundations of climate change theory, and a rhetorical campaign to discredit its proponents and their proposed mechanisms to reduce greenhouse gas emissions. Jim Motavalli, Thank You for Emitting, interview with Frank Maisano, E magazine, March/April 2006. Andrew C. Revkin, "Industry Ignored Its Scientists on Climate", New York Times, April 23, 2009. This page was last edited on 11 October 2017, at 19:41.